Uncompromising standards of engineering and manufacturing. Connectivity and control features never before seen in the industry. 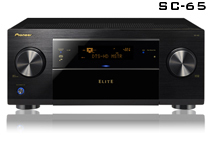 Elite receivers are designed for those who settle for nothing less than the very best in audio and video. The AudiophileTHX Ultra 2 Plus and AIR Studio’s certification combined with a 32-bit USB DAC brings true audiophile playback fidelity to the AVR category. Multi-Zone in HDZone 4 HDMI and 2nd Zone Component Video outputs allow up to 3 High Definition zones from a single receiver. 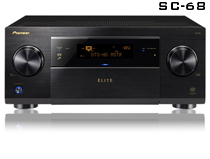 Certified PerformerWith 9 channels of THX Select 2 Plus certified Class D3amplification, 4k2k video passthrough, and MHL connectivity. Installers DreamThe SC-63 is an installers dream with a complete PC set-up program, advanced multi-zone features and a robust all aluminum front panel. Game ChangerWith 7 channels of high power Class D3amplification the aggressively priced SC-61 network ready receiver is a game changing home theater receiver. 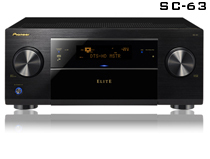 Custom PrecisionMulti-zone network capabilities combined with iControlAV2012 make this 7.2 channel receiver a perfect choice for a whole home AV system. 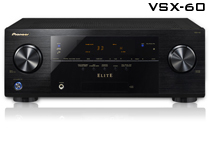 Ready to PlayFully network ready, the VSX-42 7.1 channel AV receiver is AirPlay ready to receive your iTunes with new ControlAPP convenience.